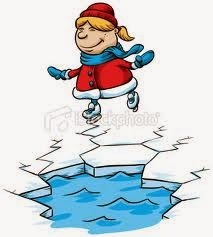 On Thin Ice - In a risky or difficult situation. Nikki: I’m so nervous right now. 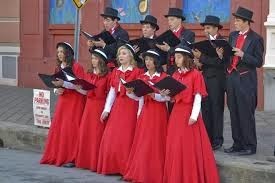 I’m on thin ice with Dave and I still have to sing with him again tonight when we go out Christmas caroling in the mall. Ned: What do you mean you are on thin ice? I thought you both loved singing Christmas songs together. Nikki: That was before I started seeing Todd. I mean, I like Dave as a friend and he is really fun to sing with, but I don’t want to date him. When he saw me out with Todd last night at the restaurant, he seemed really upset. Ned: Wow, that’s tough. Maybe you should just talk to him about it and tell him how you really feel. Noriko: Yes, I probably should since I really want to keep him as a friend. Wish me luck! Ken: Well, I’m afraid I’m about to lose my job. I’m really on thin ice with my boss and he is watching every move I make. Bob: Really? Why is that? Ken: Well, recently I’ve been going out with my friends and partying a lot. We stay out really late and it is so hard for me to get up in the mornings. I’m supposed to be to work by 9:00 AM, but I’ve been late a few times. Ken: I came in around 10:15 AM a few days. My boss was so angry because we are busy right now and other employees had to cover for me. Bob: Wow, I can see why you are on thin ice at work. You shouldn’t be late again. Ken: Yes, I know. I’m really trying to make it on time every day. 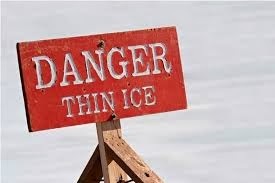 Meaning: To be on thin ice means to be in a risky or difficult situation. In the first example, Nikki is on thin ice because she went out with another guy and her friend became upset because he likes her. In the second example, Ken is on thin ice, or is in risk of losing his job, because he has been late a lot to work. For more information, please visit:www.languagesystems.com. 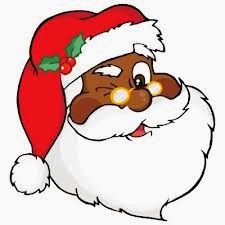 Santa Claus: Merry Christmas, everyone! Noriko: Wow! I can’t believe how beautiful the mall looks with all these Christmas decorations. And look over there! It’s Santa Claus posing for pictures with the kids. Nikki: Yes, Santa Claus is getting everyone in the holiday spirit. Noriko: I’ve never had my picture taken with Santa before. Do you think it would be strange if I did it now? Nikki: Why not? Let’s get in the holiday spirit! It will be a nice souvenir for you to take back to Japan with you. Noriko: OK. Let’s do it! Bob: Oh, I’ve been so busy at work. I’m just exhausted! And now, my girlfriend wants me to go to a stupid Christmas party tonight that her company is having. I don’t want to go. Ken: I know what you mean. I can’t get in the holiday spirit this year. Maybe I’ve just been working too hard. Bob: Well, a few days of rest and relaxation would help a lot. I’ll definitely get in the holiday spirit once my vacation starts! Ken: Where are you going this year? Bob: We are taking a ski trip to Big Bear. We’ll definitely have a white Christmas with all that snow. Ken: That’s enough to get anyone in the holiday spirit! Meaning: To get in the holiday spirit means to become excited about or to have good feelings about a major holiday, especially Christmas. 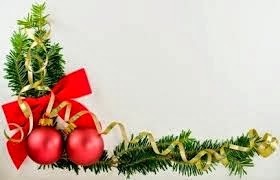 Someone who gets in the holiday spirit starts participating in all the events surrounding that holiday like buying gifts, sending cards, and putting up decorations. This idiom is especially useful during winter! For more information, please visit:www.languagesystems.com.